Building Restoration Corp. is busy removeing the metal signs from the building and power washing the exterior. Excitement is in the air at 105 Holmes Avenue in the City of Brandon! 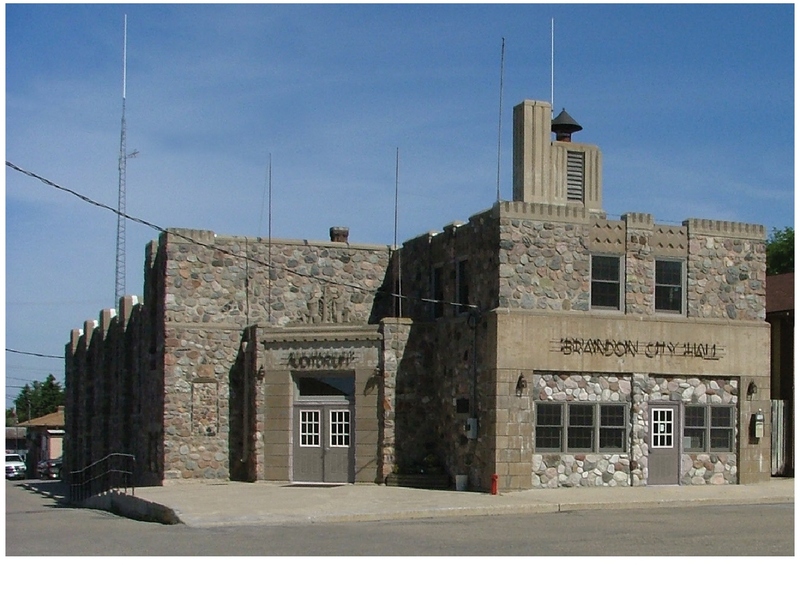 Masonry - Building Restoration Corp.
Total projected cost for Phase I - $254,390. Renovations began Monday, June 14, 2010. As we all know, 75 years have taken a huge toll on the building, and the need to make repairs is apparent. 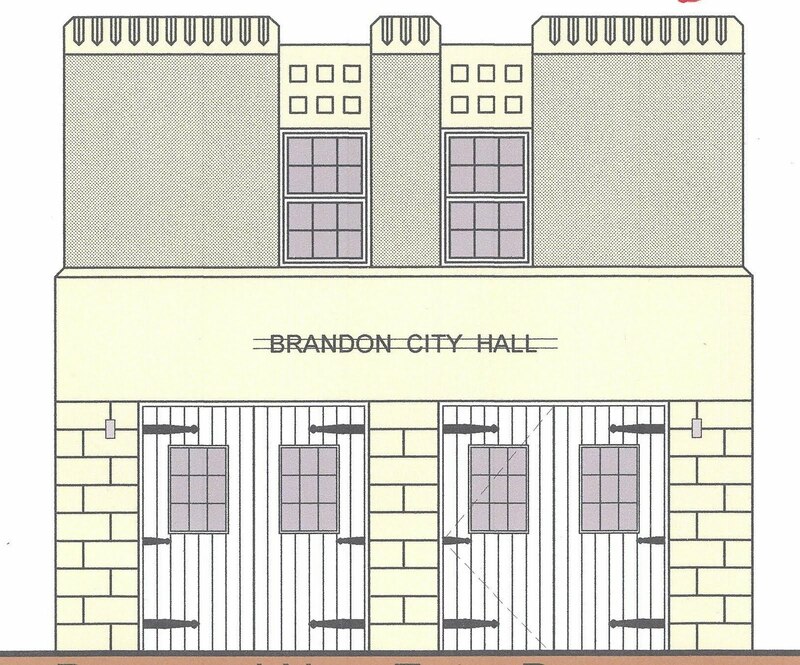 Fundraising efforts by the community and funds appropriated by the City of Brandon have made it possible to begin Phase I of the project. Phase I is expected to be finished in time for our Summerfest. You will be able to follow the progress of the project on the ORB Management web site at: http://orbmanagement.biz/agree.html with the following username and password. Username: BrandonAud Password: remodel$ Above you can see that the concrete sidewalks have been removed. Below is BCS, Inc. in the process of demolishing the east entrance to the current History Center(old Fire Hall/City Hall entrance) which will be totally restored to its original design. The original Brandon Auditorium was completed in 1936 and included the Brandon Fire Department Fire Hall. Notice the four white doors and the small windows. 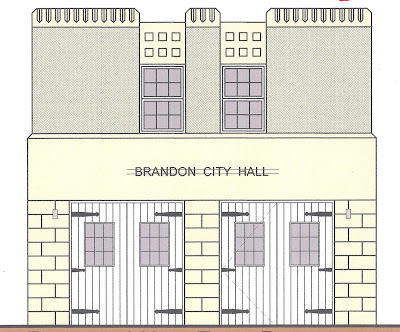 Picture of the Brandon Auditorium June 12, 2010 which includes the original fire hall converted to the City Hall, which is now occupied by the History Center. 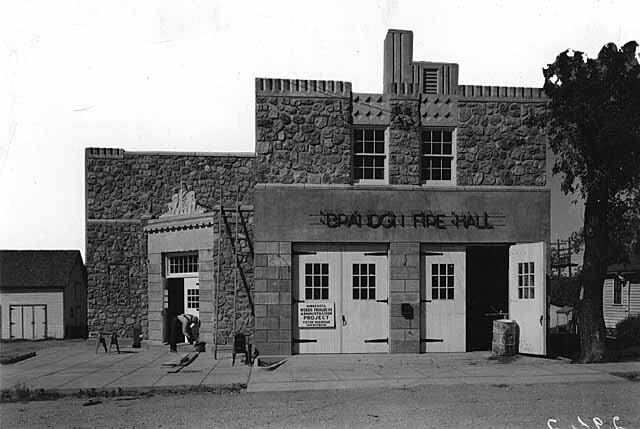 Notice that when the Fire Hall was moved next door, the east entry to the City Hall was changed from its original design. The architect's rendering of how the east entries will look after Phase I has been completed, bringing the Hall back to its original design.